Aire de Service almost in the centre of the pretty little town of Thann. Located on the far edge of a car park besides the river Thur, and is reasonably quiet. Early saturday morning a farmer’s market is set up there, then no access or exit is possible until about two’o’clock in the afternoon. A sanitary station of type Flot Bleu is situated at the other end of the car park besides the toilet building. Pitches are long enough for vans up to about 7 metres in length but beware of low hanging tree branches. 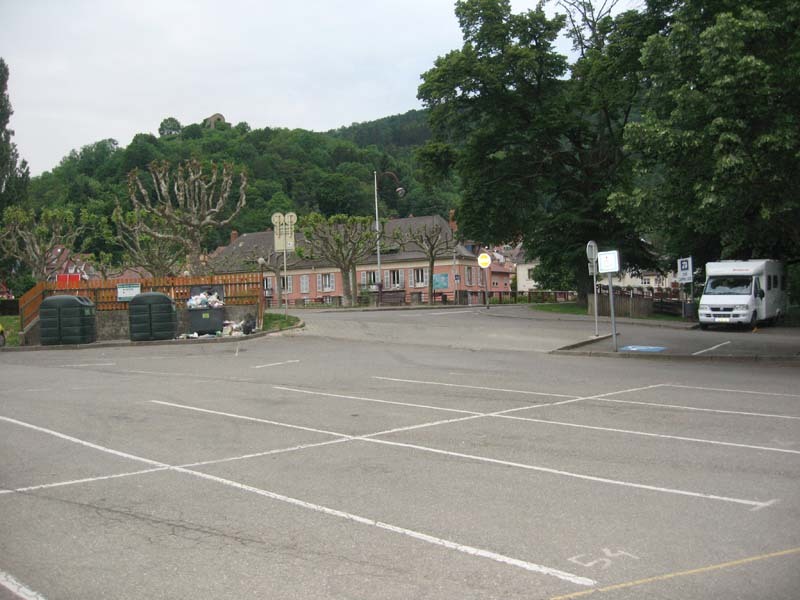 Cost per 24hrs: Thann, castle ruins.